FlexPackPRO® solutions are sold through well-established Marking & Coding Distributors, Automatic Identification VARs and Packaging Equipment OEMs located throughout the United States. If you’re interested in representing America’s fastest growing brand of high-performance TTO coders, please contact us today. 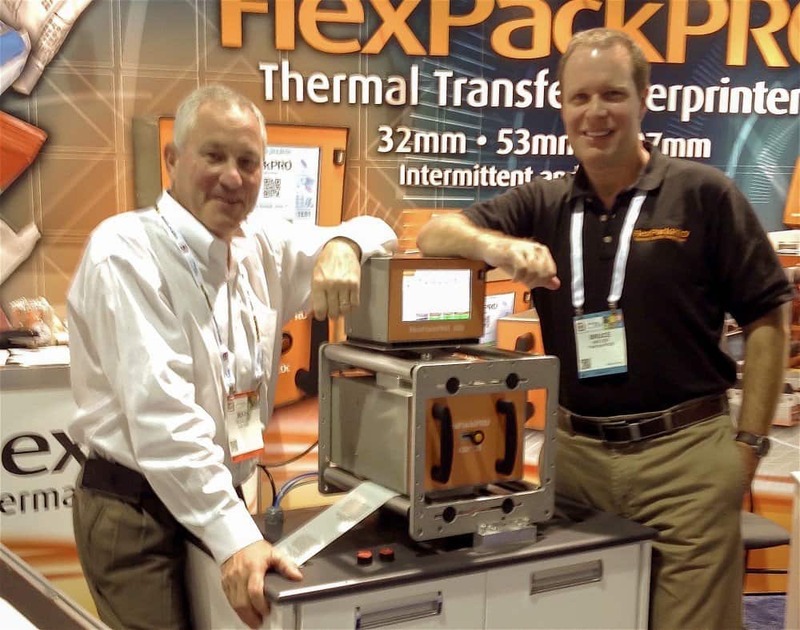 The growing demand for FlexPackPRO thermal transfer overprinters and specialty printing sytems is due in great part to the outstanding packaging and coding equipment distributors, systems integrators and OEMs that represent us. (At left) Mark Scollard, President of Cal-Pak, a major equipment distributor and FlexPackPRO partner based in North Andover, MA, visits with FlexPackPRO SVP Bruce Walter at Pack Expo for new product demonstrations.